K7 Media has been appointed as official Knowledge Partner for Kiev Media Week 2016, which takes place next month. 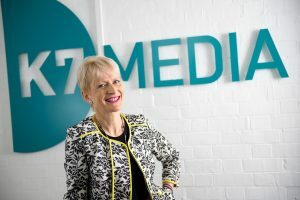 The Manchester-based media consultancy will deliver a presentation revealing the top technology trends that are transforming TV production. During the session, experts from K7 will explore how producers are creating better shows through the use of innovative technology, illustrated with examples of where technology has significantly enhanced the experience on screen. The global conference, headed by Ukrainian media consultancy Media Resources Management (MRM) and dedicated to the TV format industry, will see industry business experts meet to explore current and emerging trends. K7 Media communications manager David Ciaramella will address the audience during the annual conference’s Format Show on September 19. He will share insights on VR, advances in camera and smartphone technologies, interactive entertainment and much more. K7 also works with the likes of NRK (Norway), US channel CBS and ITV.